I feel like this week I am finally getting into a groove...a little. I keep waiting to get less busy but I don't think that is going to happen so I need to get organized and go with it. My son got his splint off (from his broken elbow) which is awesome, but he can't fall on it. And he really likes to play... hard. He is 9 and getting him to slow down is not easy. I might be more nervous now, at least before he had the splint. Poor kids just wants to play football and soccer but we can't risk him falling. He also still can't straighten or bend his elbow so we are adding PT to our schedule. He is such a trooper though and I get to spend alone time with him waiting in Drs offices, which I kind of love. Shows me I need to make more of a point to hang out with my boy just the two of us. Well my fall mantle has been up for a few weeks and I have just been slow to share, sorry. I like to change up my mantle for the seasons, but not completely. I keep the base and just change up the extras. It takes too much effort to switch everything out. I have found this is what works best for me. 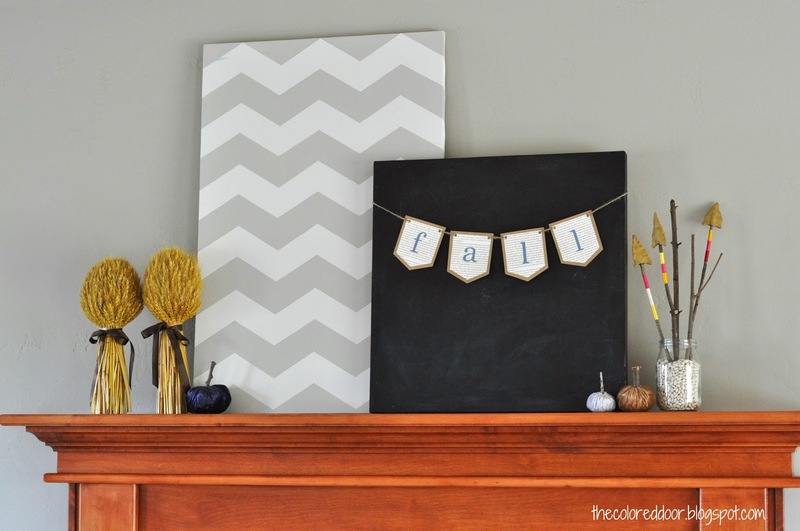 Do you change your mantle with the seasons or more often or not at all? Just a few tweaks really changes the look but doesn't take me all day to do it. I am really pleased with my fall mantle this year, I feel like I am getting better at styling with more practice. I am getting better at figuring out what I like and what works with the house. 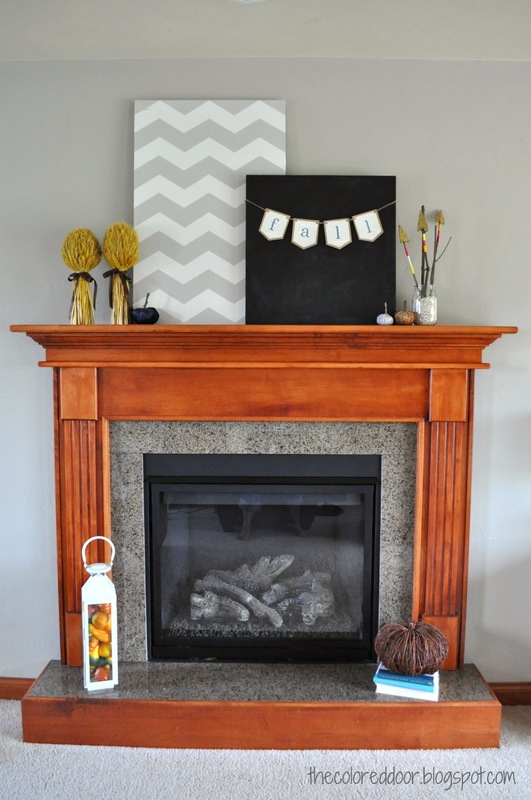 And it is fun to look at my mantle and see that I DIY'ed almost everything. 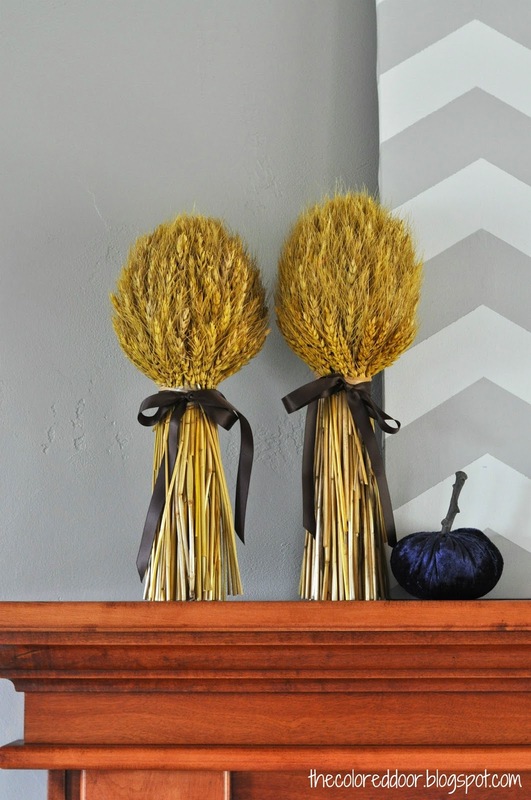 The wheat bundles I found a few years ago on clearance, I just added some brown ribbon to them. 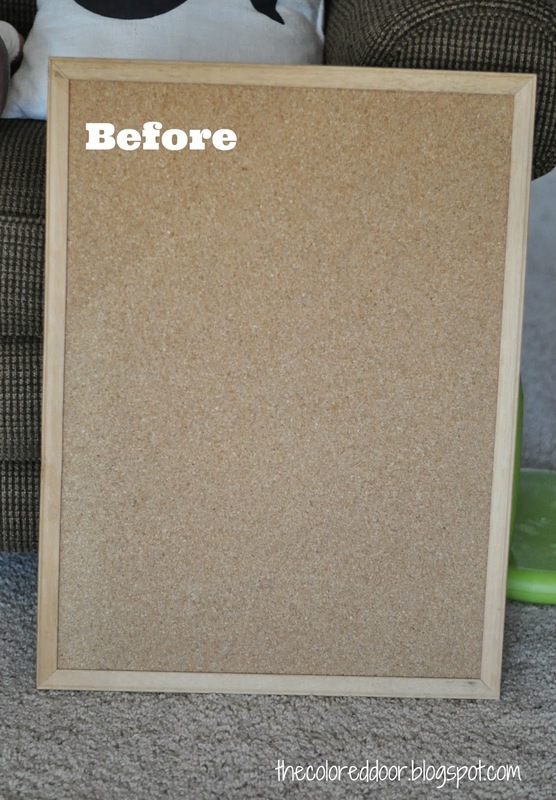 The chalkboard is the back of a picture I painted with chalkboard paint. I can always turn the picture around again when I am done with the chalkboard. 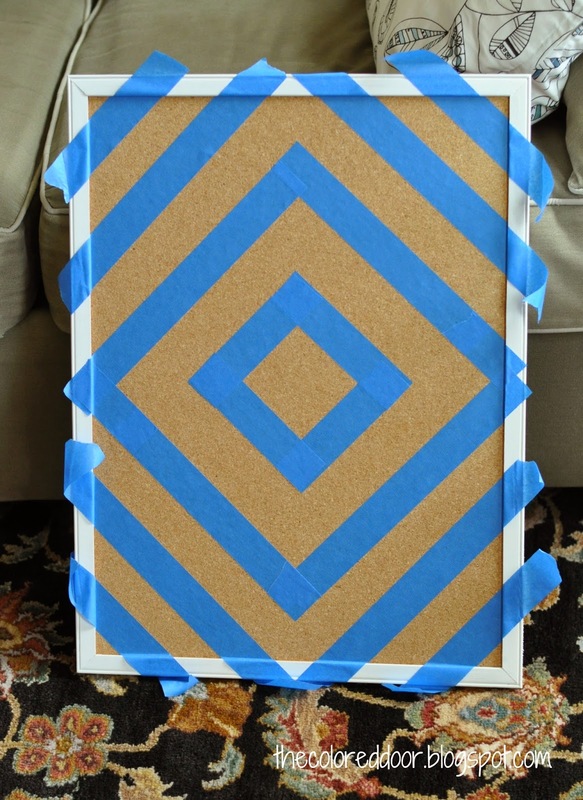 I painted the chevron pattern onto an old canvas. 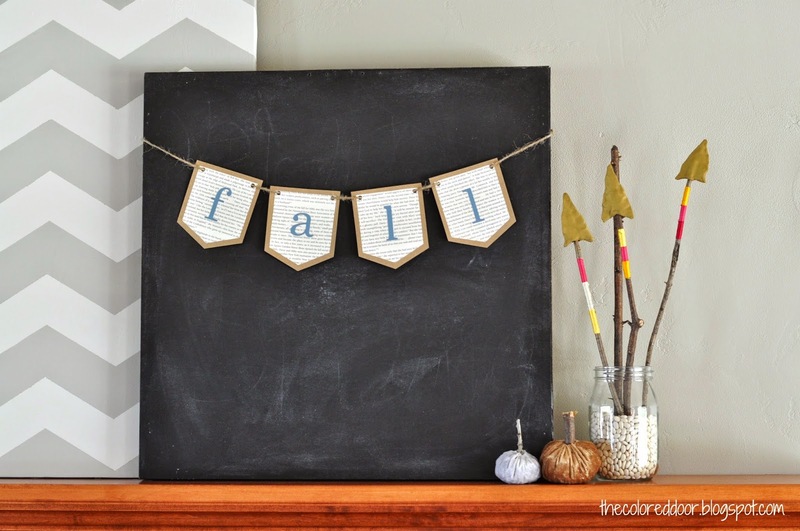 The fall banner is available in my etsy shop, but is would be easy to duplicate. 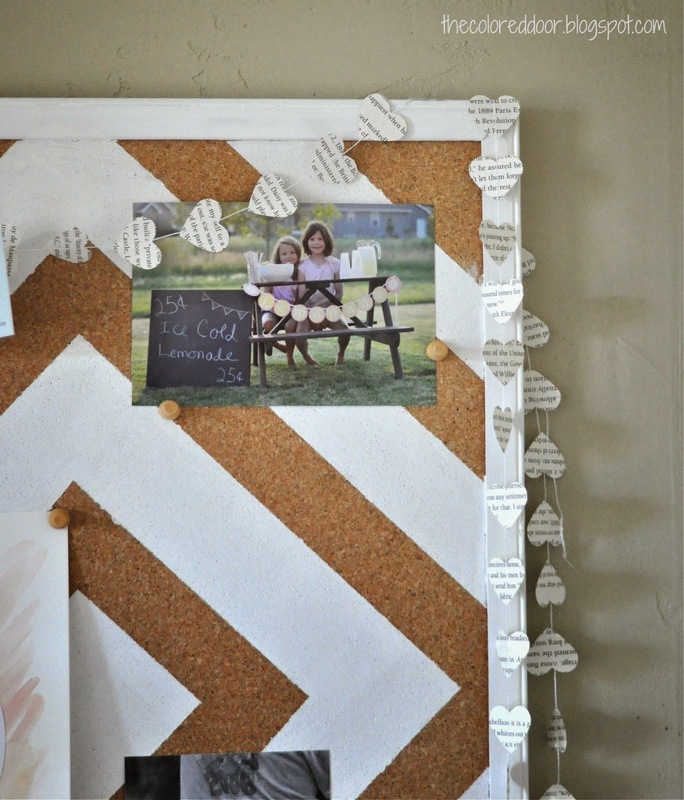 I used craft paper, book pages and letters cut out of blue paper and strung them together with twine. You can find big letters at a craft store and you can hand cut everything else. 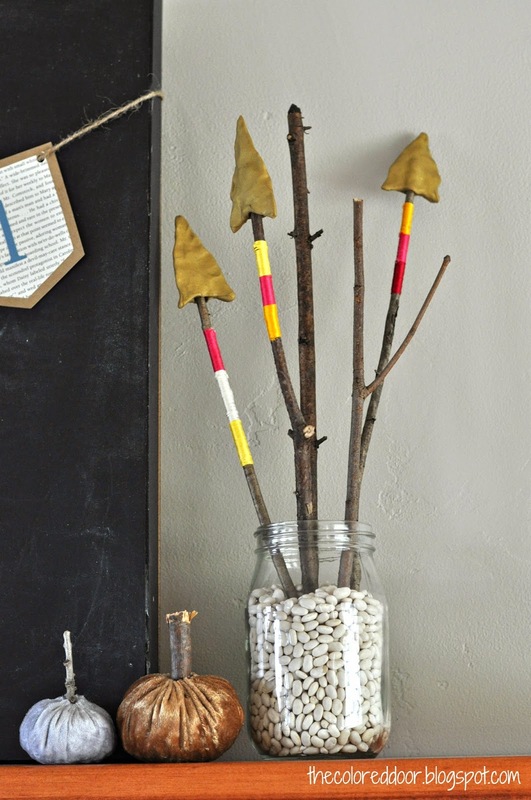 My favorite thing about this mantle are the DIY arrows! As soon as I saw them I knew I had to make them. Jenn over at My Fabulous Life made them. Aren't they awesome? So easy and fun. Just need some sticks, DMC thread, and clay ( I used gold oven baked clay so I could skip the spray painting). 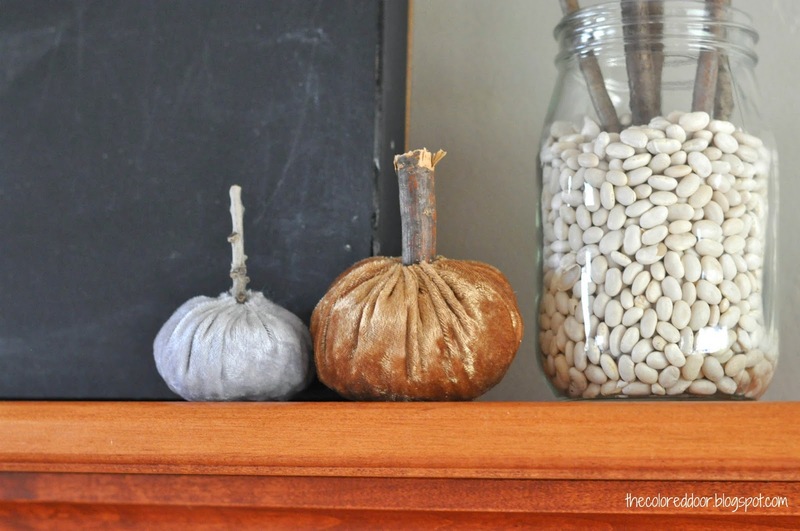 I still love my little pumpkins, here is a tutorial. You can pick any colors you want to match our decor. I added a few Goodwill books to the hearth, just make sure to check the books without the paper covers. Their are some pretty books behind those ugly paper jackets. Aren't those little pumpkins cute? Seriously you should make some. Hard to believe October is here, I might need to start thinking about a Halloween mantle. I kind of like this one though, we will see. We have been having the most wonderful fall weather here lately. It has been in the 70's and sunny everyday, perfect weather. It has been perfect weather for watching my kids in their sports activities too. But sadly my son broke his elbow playing tackle football, so our evenings have gotten a lot less busy. Poor kid is out for the rest of the season. He has been a trooper though, never complains not even when he broke it... three week ago. Yep he walked around with a broken elbow for two weeks and never complained. We just noticed he was favoring it during a football game, such a tough kid. Glad it is a quick recovery because he can't sit still. I told him no football or soccer on recess but he figured tag was fine which evolved into tackle tag...seriously. He came home the other day with grass stains on his splint. I hope he heals fast! It is taking me much longer to get in my groove now that all the kids are back in school, but I am trying to cut myself some slack and try to enjoy it. 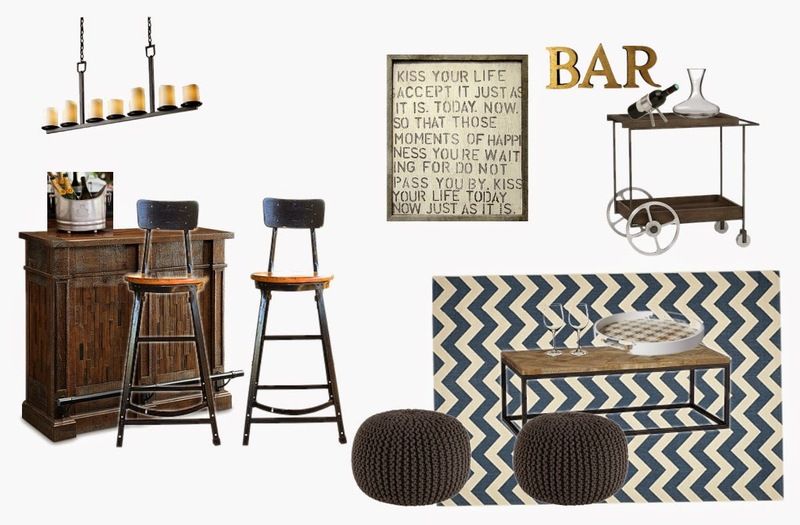 I was really excited when Chairish contacted me to put together a style board using some of their bar stools. Never heard of Chairish? Me either, but I love it and I am sure you will too. Chairish is a fun place to buy and sell vintage furniture and decor. They can help facilitate the whole process. They have an amazing selection of bar stools! I picked one of my favorites for the style board, but it was not easy. It was really fun putting everything together. What could be better than building a dream space. I hope you will check them out, you can get lost looking around. Just like all summers this one has gone fast. I enjoyed our summer but I am now ready to get back into blogging and projects. I did a few projects over the summer but mostly I worked on my etsy shop and enjoyed my kids. My youngest started kindergarten and we are on week two and I am still waiting for it to get easier. It is going to get easier, right!?! She is doing way better than expected, she is my baby and I had nightmares I was going to be shoving a sobbing girl onto the bus. But she loves it, and has no compaints. Who is this girl? The mommas girl I had to peel off of me at preschool last year. One good thing is she loves the bus, so she gets to start and end her day with a favorite. But after rushing all morning getting the kids on the bus I return to a quiet still house and I hate it. It will get easier, right? I can't believe I still want to cry after putting all three on the bus every morning, I miss them so. I need to find my own routine again. It has been so long since I have had all day to myself. I guess this is MY new adventure too. Getting back to projects will be a good start. Here is one of the projects I worked on over summer. 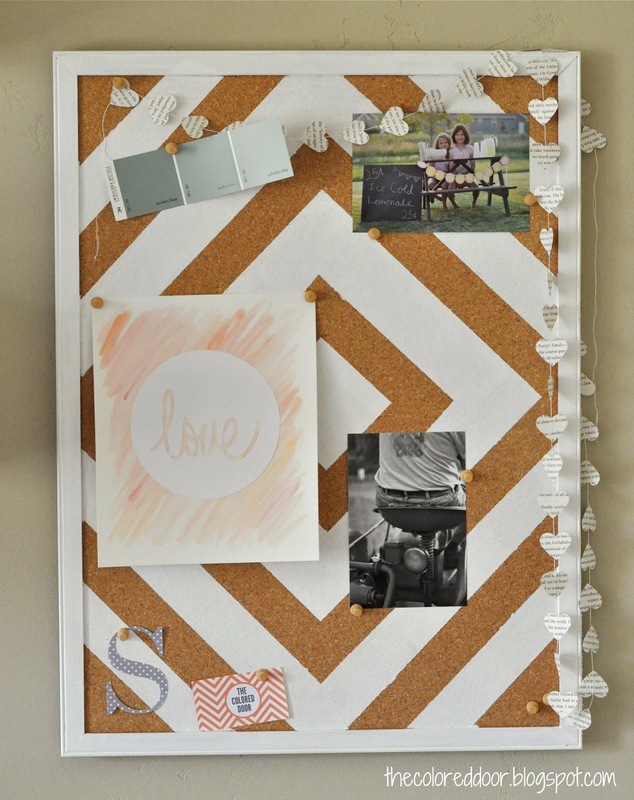 I found this bulletin board at a garage sale for 75 cents, but of course it needed some sprucing up. 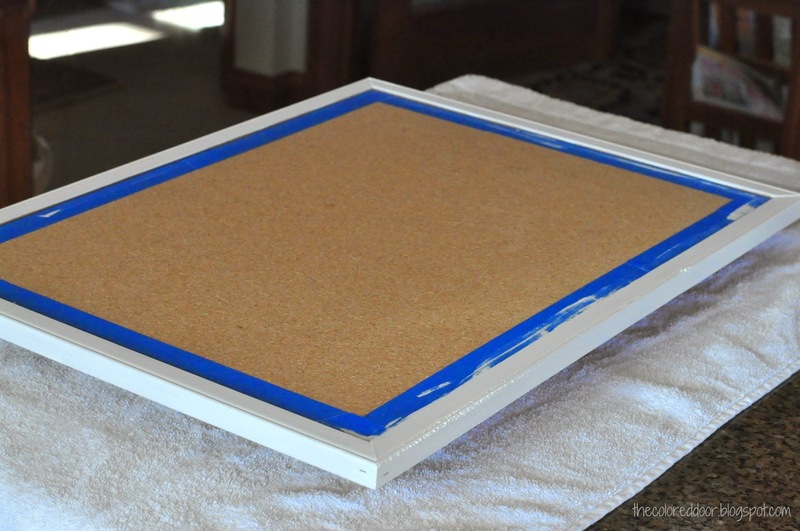 First I painted the frame with some leftover white paint. Then I taped off a design with painters tape. I saw this design on Pinterest but couldn't find an original link. I love the diamond pattern and mostly eyeballed the lines. I did use a ruler some to try to keep the spaces relatively equal. And after a little more white paint I ended up with this! 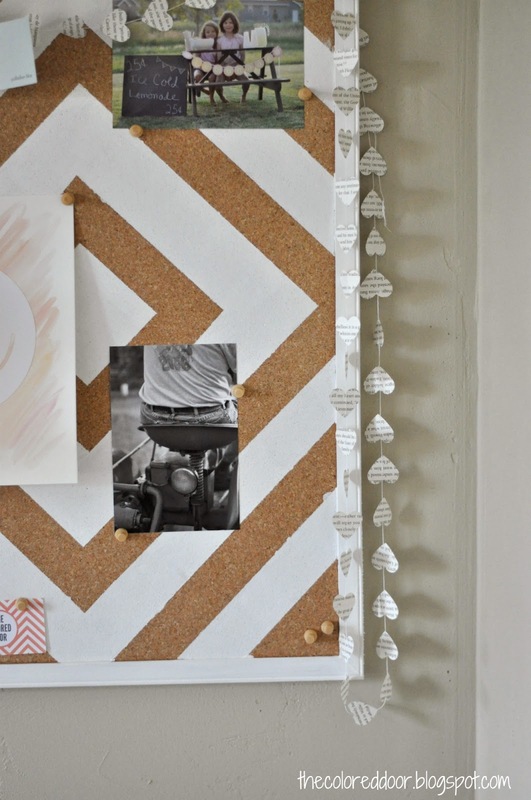 I love how it turned out and it was such a simple project. It is the perfect addition to my newly organized office (I will share that soon). The love sign was super easy to make too. I used my silhouette to cut out the love and the circle. 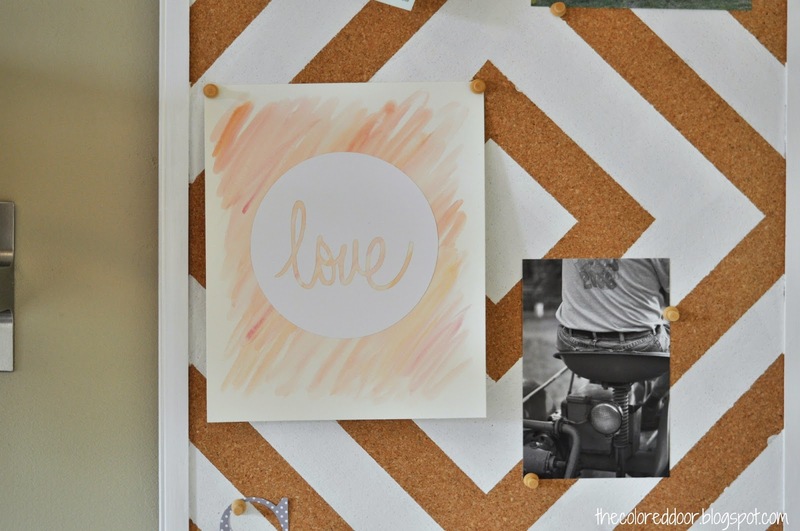 I painted a piece of watercolor paper as the background with some orange, pink and yellow water colors. The "S" is for my last name and the guy on the tractor is my Dad. He is loving his new (old) tractor he got just to pull the kids in a wagon. I made some heart garland with pages from a book I got at Goodwill. I used a Martha Stewart heart punch and sewed them together. I have this garland for sale in my etsy shop. My girls are so cooperative for photo shoots. I miss them while they are at school I will have to find some other willing children to be models for my banners. I know some of you have been back at school for a while but I hope everyone is adjusting to the busy year well. I need to adjust to my alone time and come up with my own schedule. I never expected this to be so hard. Alright I am done complaining! September 1st is here and my kids start school tomorrow. I haven't been looking forward to it but I think we are ready now. My youngest goes to kindergarten this year so it is going to feel a lot different this year. 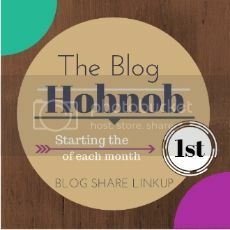 September 1st also means it is time for a super fun linkup, The Blog Hobnob. Here are the guidelines. This Blog Hop is a Meet & Greet where you can connect and network with other bloggers in various genres! Link up below and check out other blogs, follow them on social media and leave a nice comment! Super easy to make new friends! 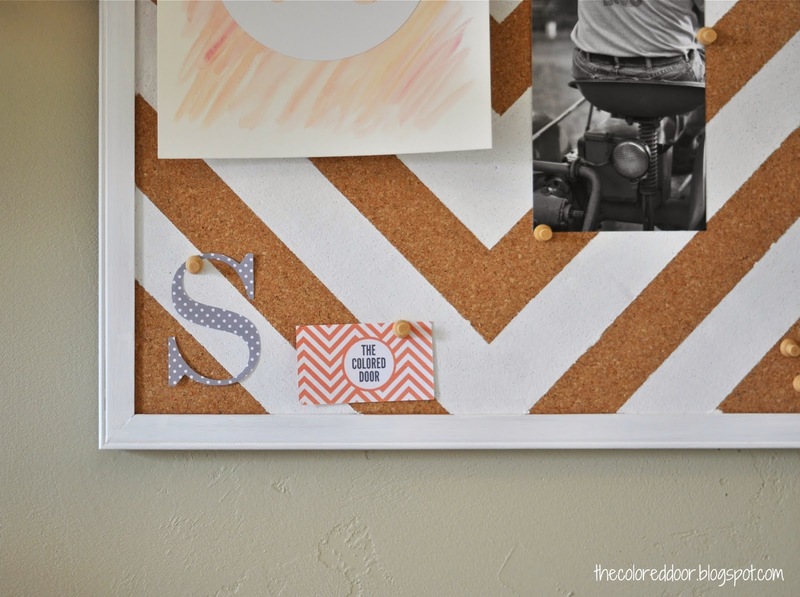 Let Kim (@ Made in a Day) know if you would like to be a Monthly Co-Host! Add my party button, make a new post on your blog and share the party! Super Easy!